Often, many active users are wondering torrent, how to increase the upload speed? This problem is really serious, and, to resolve it, you need to approach it with all seriousness. In this article we consider the basic steps, who will be able to help you. Before starting the fix the problem you need to find a file tcp.sys. Study it thoroughly, After all, it spelled the command, responsible for the upload speed of your network card. 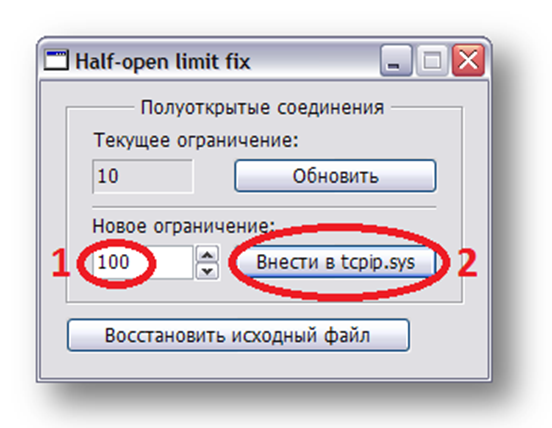 Here you will help this program, as “Hаlf-open limit”. Be sure to check, to this utility had more 50 compounds. Now go directly to the most torrent. Select menu “options”, then click on the “Settings” section and click on “Connections”. Here locate the area, responsible for the port number, select any value, which exceeds 40 000 units. The maximum speed is necessary to put the actual speed, which your ISP provides, eg, 3 mb. “Upload” – alternative the download speed can be set to a maximum value. But experienced users are advised to choose the interval between 80-90%. If your service provider cuts off a small portion of the speed during file transfer, then put a tick near the item “Protocol Encryption”. We have almost answered the question how to increase the upload speed you have left to perform the last step. Scroll to the “advanced option” and go into it. Here you should be interested in such option as “peer.lazy_bitfield =false/true”. It is important to put the value = “true”. Also change the value of the cache is best to select a value in the range from 2 MB to 32 MB.